Sevastopol, August 19, Interfax - Russian President Vladimir Putin has agreed with the proposal made by Prime Minister Dmitry Medvedev to appoint presidential administration official Olga Vasilyeva Russia's new education and science minister, Dmitry Livanov will become special presidential envoy on trade and economic relations with Ukraine. “OK, we’ll do so, I agree,” Putin said, responding to a relevant proposal voiced by Medvedev at a working meeting held at the Belbek Airport on Friday. 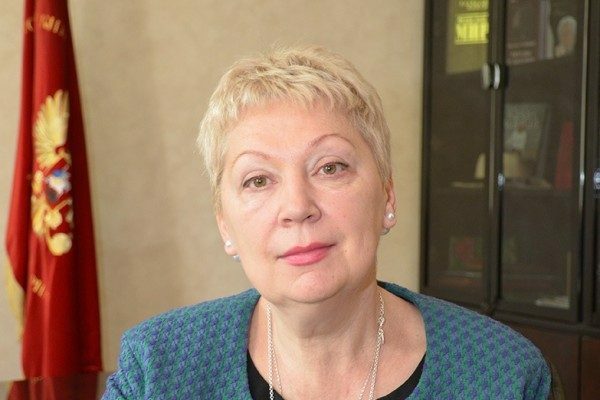 Olga Yuriyevna Vasilyeva (born in 1960) is a professor of History, PhD on History. She got her first education at the choir and conducting department of the Moscow State Institute of Culture, then she graduated from the History Department of the Moscow Pedagogical Institute and Department of the International Relations of the Diplomatic Academy. In 1987-1990 she studied at the post-graduate department of the Russian History Institute at the Russian Academy of Sciences. From 1991 to 2002 she worked in the Center of Religion and Church History at the Institute of Russian History of the Russian Academy of Sciences. From 2002 she chaired the Department of Religious Studies of the Russian State Academy of Public Service at the Russian President. She is a member of the Council on preparing programs on Russian History at the Russian Education and Science Ministry, member of the Committee on affairs of religious associations at Russian government. She is an author of about 150 scientific works, including seven monographs. She is a deputy chairman of the public projects branch at the Russian Presidential Administration.